Literati is delighted to host GrieveWell Presents Candid Conversations about Grief with Rebecca Soffer, co-author of Modern Loss! Let’s face it: most of us can’t handle talking about death. We’re awkward and uncertain; we blurt out platitudes or say nothing at all; we send sympathy bouquets whittled out of fruit. But we don't have to. Join us for an evening of laughter, tears, and stories with Rebecca Soffer! Rebecca co-founded the grief and bereavement website, Modern Loss, with Gabrielle Birkner, back in 2013. She will be speaking about the book, Modern Loss: Candid Conversations About Grief. Beginners Welcome, which she also co-authored with Gabi. Assembled from the many insights shared by the Modern Loss community, Modern Loss the book features stories from Lucy Kalanithi (widow of When Breath Becomes Air author Paul Kalanithi), stylist Stacy London, rocker Amanda Palmer, Girls writer and comedian Yassir Lester, CNN’s Brian Stelter, WNBA All-Star Chamique Holdsclaw, Kim Goldman (sister of Ron Goldman), and Michael Greif (director of the 2017 Tony Award-winning musical Dear Evan Hansen). Following the talk there will be a Q&A and a book signing. If you'd like to learn more about the local non-profit GrieveWell or the various resources available to those struggling with grief, please click here. 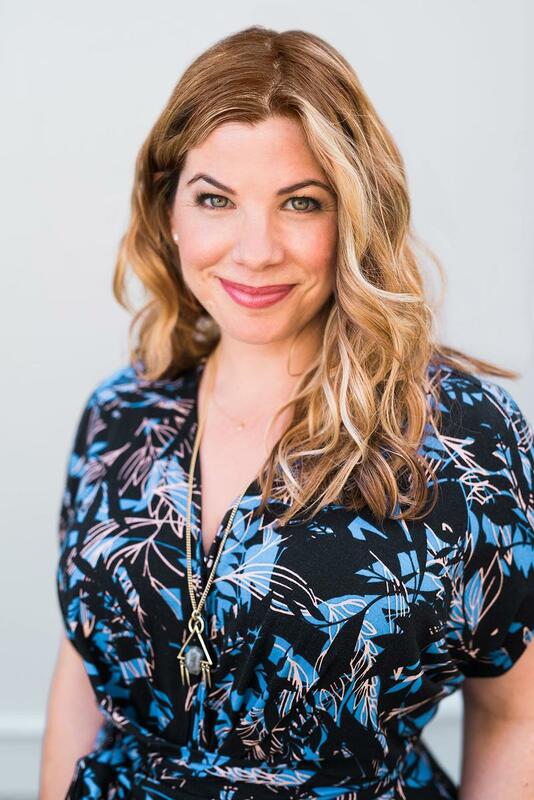 Rebecca Soffer is the co-founder and CEO of Modern Loss. She is a former producer for the Peabody Award-winning Colbert Report. Rebecca has spoken nationally on the themes of loss and resilience at venues including Chicago Ideas Week, HBO, and Kripalu. She is a Columbia University Graduate School of Journalism alumna and contributes regularly to books, magazines, and other media. Rebecca lives in New York City and the Berkshires with her husband and two children.